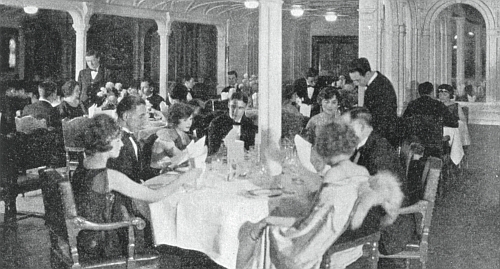 On the night of April 14, 1912, in the last hours before the Titanic struck the iceberg, passengers in all classes were enjoying unprecedented luxuries. Innovations in food, drink, and decor made this voyage the apogee of Edwardian elegance. This episode is the first in a series I’m doing with Titanic historian Veronica Hinke called “Last Night on the Titanic.” In it we look at individual accounts of tragedy and survival from the figures that made up the passengers and crew of the ship. They include millionaires, artists, fashionistas, bakers, cookers, musicians, doctors, and con-men. To recreate the experience of what it was like to be on the Titanic before disaster was on anyone’s mind, Veronica also goes into detail of the food and drink consumer on the ship, from tripe soup eaten by a third-class passenger to the fancy dessert eaten by a Edwardian lady.